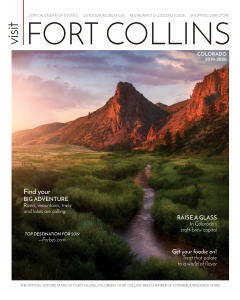 Located in southeast Fort Collins, Twin Silo Park (5552-5564 Ziegler Road) is a 54-acre park featuring a fantastic playground that reminds visitors of the area’s farming history. Along with a zipline and unique play structures, the playground has two towering 50-foot silos with the tallest slide in Fort Collins traveling between them. There are also pickleball courts, a dog park, fruit orchards and a community garden. New this year, the park will host the annual free Kites in the Park festival, which is now called Kids in the Park, on May 19 from 10 a.m. to 3 p.m. The festival encourages kids to get out and play and will include kite flying and make-your-own kites for kids, along with live music, food trucks and additional recreational activities. Located at the base of the foothills, this incredible 100-acre community park (3156 S. Overland Trail) gets rave reviews from parents and kids alike. The unique ADA play area, Inspiration Playground, offers a place for children and families of all abilities to share play experiences, and enables children of various abilities to play independently on the same equipment. Along with the play area, the park features a splash pad, a skate park, tennis courts, a dog park (with a pond! ), basketball court, dirt bike course and walking trails. Fossil Creek Park (5821 S. Lemay St.) is a must visit for the dino-loving little in your life. 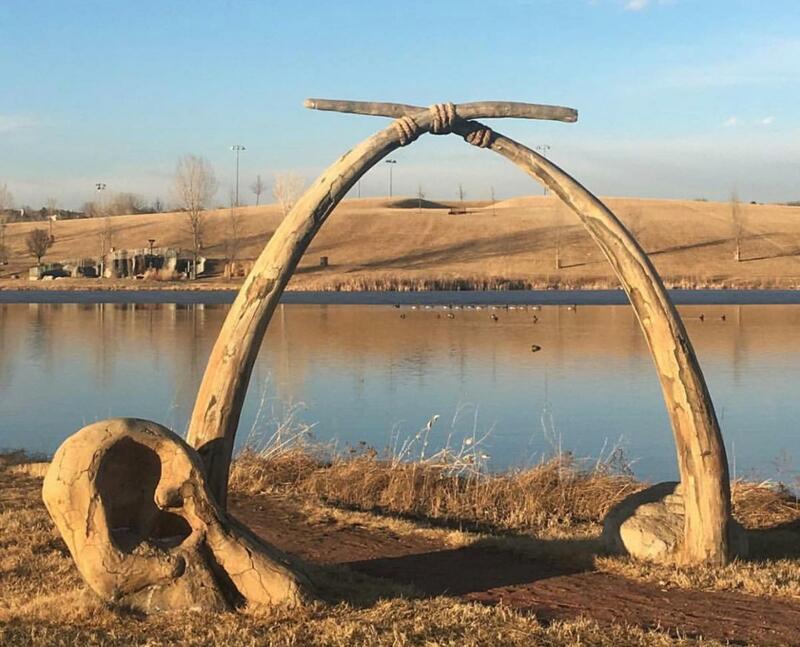 After climbing a giant Wooly Mammoth and swinging from its tusks, kids can climb through a shark’s jaw and then scale a concrete climbing wall with embedded “fossils.” The park is an ode to Colorado’s abundant geological history. Along with the great playground, the nearly 100-acre park includes a dog park, skate park, tennis courts, baseball fields, basketball courts, hockey courts, plenty of walking paths and a splash park for kids to cool off in during the summer months. Lee Martinez Community Park (600 N. Sherwood St.) is a nearly 90-acre park that features the usual fields, courts (basketball and tennis), a playground and more, but its most unique feature is a petting zoo that’s open year round. 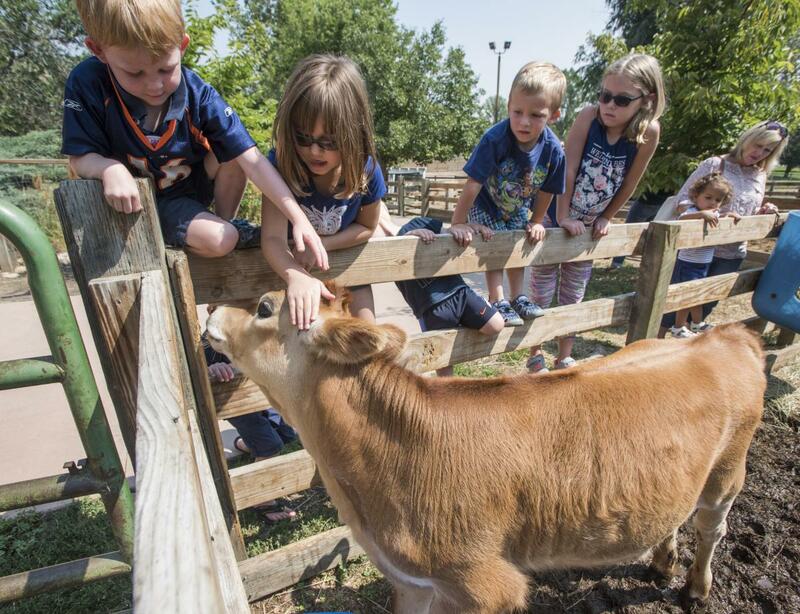 At The Farm at Lee Martinez Park, kids love getting an up-close view of farm animals. They can feed some of the animals and even take a pony ride. Farm Fun Club for 5-7-year-olds takes place Saturdays from 1-3 p.m. Kids learn about the animals through games, stories, crafts and activities. Sugar Beet Park (Summer 2019): Slated to open late this summer in east Fort Collins, Sugar Beet Park will feature a playground centered around a 12-foot-tall wooden sugar beet play structure featuring climbable slats, a rope ladder, slide and more. 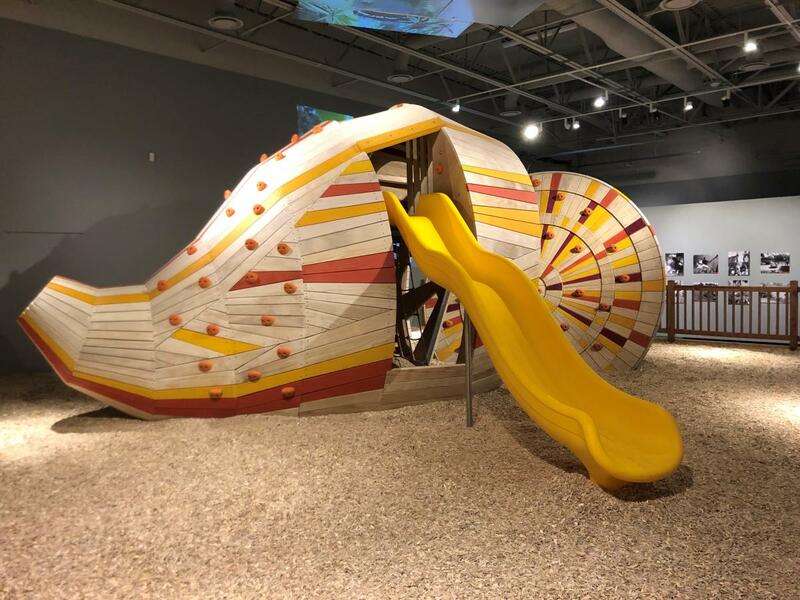 Catch a sneak peek of the structure at the Fort Collins Museum of Discovery where it’s currently on display through May 26 as part of the exhibit “Once Upon a Playground.” Additionally, the 5.3-acre park will feature a multi-use turf field, native grasses, a park shelter and a pollinator garden. The theme is a nod to the city’s history where the fields of the cash crop were prevalent (the park is also located near the site of the former Great Western Sugar Factory). At the park, trees and plants will also be planted in distinct rows, reminiscent of how beets were planted in fields. Sliding benches will be installed to replicate the rail cars that once transported beets on the railroad tracks that still run just north of the site. 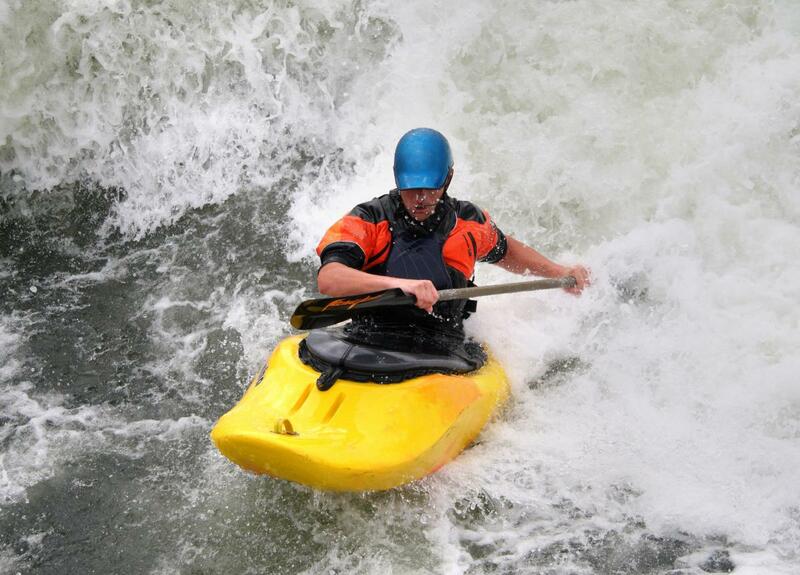 For the bigger kids who prefer to play in the river, the Poudre River Whitewater Park is set to open late summer 2019. Located on the river just north of Old Town in the booming river district, plans include a boulder-lined boat chute, rock features, holes for kayaking, stand-up paddle boarding (SUP) and tubing, and shallow play along the shore. Kayakers, tubers and kids of all ages will be able to enjoy the Poudre River from this beautiful spot. Visit here for a map detailing where you can find each of Fort Collin’s parks.